When considering Musical Hall’s uber-popular MMF 2.2 ($300 in black) turntable, it’s easy to wonder how Thomas Edison himself, the inventor of the phonograph back in 1877, would react. He’d fail to readily recognize it, of course, but when told what it was, we strongly suspect that he’d be amazed that his breakthrough technology has been fundamentally altered so little over these many decades. Oh, there’ve been plenty of refinements (wax cylinders giving way to shellac and then vinyl, for starters), but the idea of extracting sound from grooves is still at the very heart of the medium. By the same token, would Johannes Brahms, one of the first people to speak into Edison’s miraculous new gizmo, be surprised that his Violin Concerto in D major, Op. 77, remains one of the most often played and recorded works in the sprawling classical repertoire – and is still enormously popular on records? We’ll never know. But what we do know is that Edison’s breakthrough has not only survived, but is exploding in popularity. 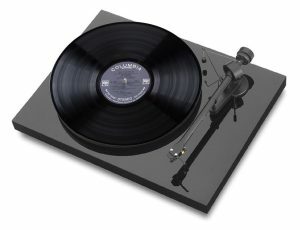 At the same time, the marketplace has responded by producing a raft of superb record-playing machines, and the Music Hall 2.2 is a prime example, unquestionably one of the best entry-level turntables. We’re going to proceed to tell you why, and we’ll also pit the 2.2 against offerings from rival manufacturers and even compare it with higher-end models in the ever-expanding Music Hall line. Why the Music Hall MMF 2.2? 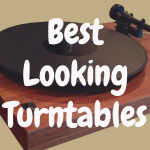 This is a beautiful turntable. OK, we’ll gladly acknowledge that beauty’s in the eye of the beholder, but this table decked out in luscious gloss black (or red or white, for that matter) is very much like certain women, the kind who manage to silence a room and look strikingly elegant without a hint of pretension. It comes standard with a good cartridge (Music Hall Magic or Tracker, made by Goldring). It’s not complicated. You can’t put this table on the “plug and play” list, but the few necessary assembly steps and adjustments should be cinch for all but the clumsiest and most clueless among us. It has adjustable, vibration-damping feet. If “adjustable” doesn’t sound like a biggie, it could be if your stand or shelf isn’t perfectly level. This is too nice a machine to try to level with matchbooks. 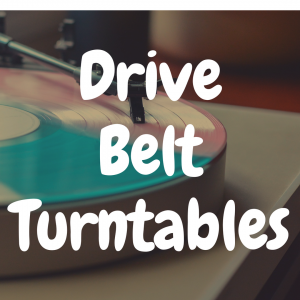 A turntable must be level, period, or mistracking ensues. For the wonkier among us, it has a stainless steel and bronze bearing assembly, a separately isolated, asynchronous motor, one-piece aluminum alloy tonearm and a sturdy MDF base. The goal of all this is to make the music the only sound you hear, and to make sure the grooves are tracked every time without error or distortion, particularly in the often troublesome “inner grooves” (those that are played as the tonearm approaches the end of the side). The MMF 2.2 is a completely manual, two-speed, belt-drive turntable – no automatic start and stop here. It doesn’t include bells and whistles like the ability to play 78s. It doesn’t have its own preamp, and you can’t connect it to a computer. And, while many tables are basically ready to roll out of the box, there’s some assembly and tweaking necessary here. A pair of motor-transport screws must be removed and the belt looped around a pulley and the rim of the subplatter. 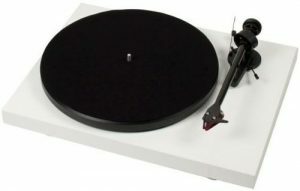 The platter must be placed on the spindle, the counterweight attached to the tonearm, the cartridge tracking force set (the cartridge is already mounted), and the antiskate weight put in place. The user must also slide the dust cover into its hinges. The table’s manual explains all this in detail, and there are also instructional videos online. As we’ve said here before, it’s not complicated, and you can’t mess up too badly. 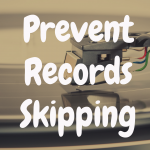 If stylus force or antiskating are improperly set, you’ll know it when you spin your first record. 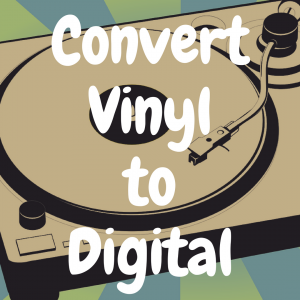 With that in mind, you might not want to choose your favorite (or most pristine) album to play right out of the chute—just in case your settings for the table are initially set up incorrectly. Music Hall’s tables are designed in the United States but made in Czechoslovakia, as are those from another popular manufacturer, Austria-based Pro-Ject, so don’t be surprised at some measure of similarity and cross-pollination. Thisis obviously aimed at head-to-head competition with the 2.2 and is a huge seller, a very popular item among nouveau vinylphiles. In gloss black, it’s hard to distinguish from the 2.2, at least externally (indeed, there is parts-sharing here). It does come with an Ortofon OM-5e cartridge, a slight step up from the 2.2’s cartridge, but most listeners shouldn’t notice a significant difference. Pro-Ject touts its much-vaunted, durable but lightweight carbon tonearm; again, few will notice an audible difference at this price point. This features the better Ortofon 2M Red stock cartridge. Along with some slight differences in materials and design, this accounts for the price difference. This Ortofon is capable of extracting more detail from records and, depending on accompanying components like amplifier and preamp, records will sound weightier, with tighter bass and more nuance in the high end of the audio spectrum. It’s also a heavier machine; a more stable table, if you will. These two up the stakes considerably, adding truly premium cartridges, dual-plinth construction, and more. Again, for the “average” vinyl fan, the law of diminishing returns can easily apply here. Unless you have a top-quality amp and/or preamp (and speakers, for that matter), you’re not likely to notice hundreds of dollars’ worth of difference in how a record sounds to you. Also, remember this: Producing more detail can also mean revealing flaws in the vinyl itself, not to mention being unforgiving to music that wasn’t very skillfully recorded in the first place. 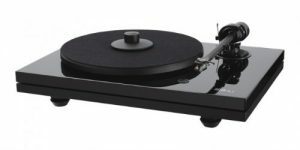 Closer to the 2.2’s price point (but once again very similar in looks) is the Rega RP1, a popular table from the British maker. 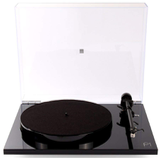 It boasts a surprisingly fine Rega-branded cartridge and the much-heralded RB101 tonearm. 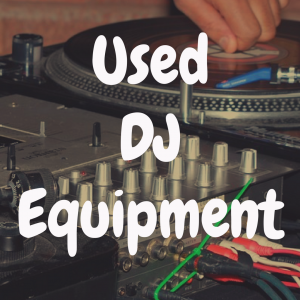 The similarities between the two turntables are many, but there is one difference. If setup is a concern, consider that a Rega cartridge in a Rega arm requires fewer adjustments. At the outset, we brought Brahms into the picture and even linked to a very collectible recording of his concerto. We have that LP (albeit with different packaging) along with a Super Audio CD (SACD) version of the same material. This gave us a chance to A-B test the recording on the compact disc and the MMF. 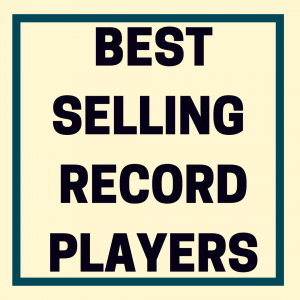 Why this particular record? 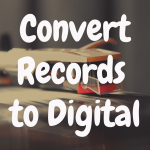 Because, in 1963, the recording and mastering processes were truly blossoming as an art form, and certain recordings were literally considered to reflect the state of the record-making art at that time. This is one of them, straight from what many consider to be a golden era. It’s a superb representation of a fine orchestra and soloist, with pronounced stereo separation and vivid sound staging. When the record is properly played, it’s easy to tell where the players are seated, not only from left to right, but also from front to back. (Heifetz, naturally, is very much upfront and smack-dab in the middle of things.) It’s also a terrific “test record” in a way. Very early in the first movement, there is a sudden, even startling BOMP ba BOM from the bass violins, an excellent gauge of how a system handles the dynamic range of music (meaning the difference between the loudest and softest passages). The MMF handled the concerto’s often jarring dynamic range sparklingly throughout, and did it naturally and effortlessly, without breaking a sweat. Was listening to this record like having a full orchestra in the living room? Jeez, we hope not! But, with eyes closed, one could easily imagine him or herself in a good 10th-row seat at the symphony. Besides offering surround sound, SACD has been marketed (not very well, unfortunately) as being more analog-like in terms of warmth, and, indeed, the disc and LP sounded quite comparable. But, despite a smidge of surface noise, the MMF rendered the Brahms in a livelier and even weightier way, and Heifetz’s fiddle sounded palpably real, particularly in the dazzling and challenging first-movement cadenza. The table tracked perfectly, called absolutely no attention to itself, and disappointed in no way. It played the music accurately, and with a dash of aplomb. Those looking for a new record player (maybe their first actual “hi-fi” turntable) are extremely lucky that there are riches galore in the price range of the MMF 2.2. All of the tables mentioned here are worth every penny, or even more. But, in and of itself, the MMF 2.2 is a superb, reliable, quiet-running machine that seamlessly reproduces music as it was meant to sound. If you’re interested in fancy looks, exotic designs, and esoteric touches (along with the headaches some of those attributes can bring), then look elsewhere. But, for $300, it’s hard to imagine finding a more pleasant treat for your records – and your ears. 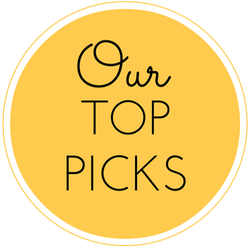 If you enjoyed this article, please do take a moment to “like” our brand new Facebook page! 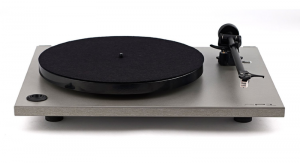 What’s the Best Audiophile Turntable Under$500?